G L E N C O V E , N. Y. 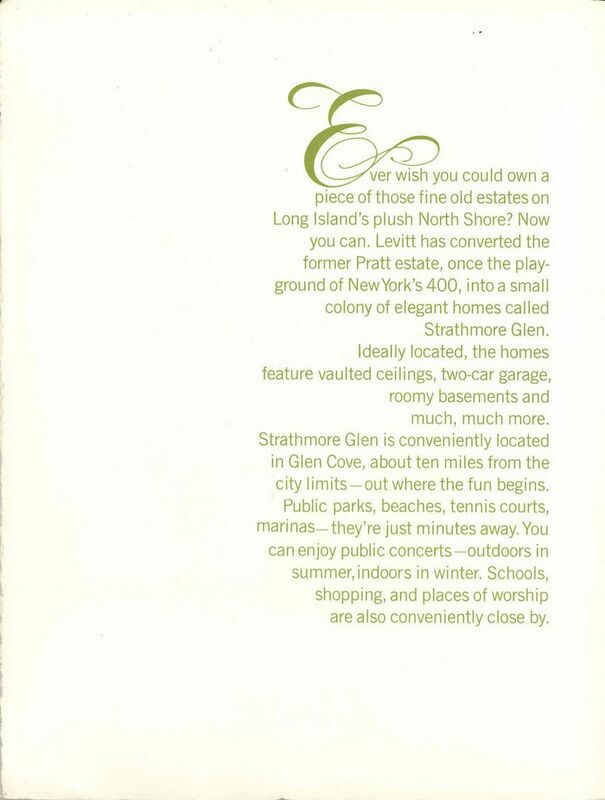 Location: Glen Cove on the North Shore of Long Island in Nassau County, N.Y. Opened for sales in 1972. Convenient to the Glen Cove Railrad Station. 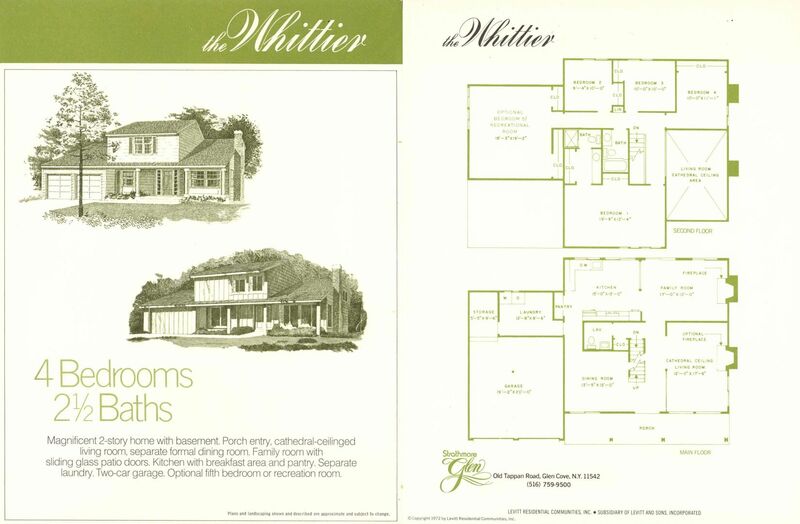 Sample Homes were located on Old Tappan Road in Glen Cove. 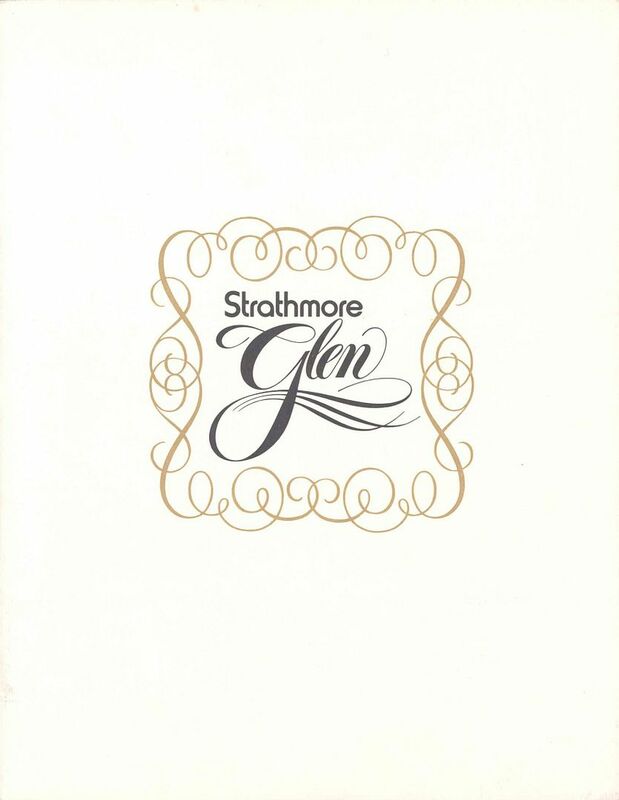 View the elegant Front Cover for Strathmore Glen. View the Interior Pocket of the folder, displaying the Levitt logo. View the Profile of your new home community. 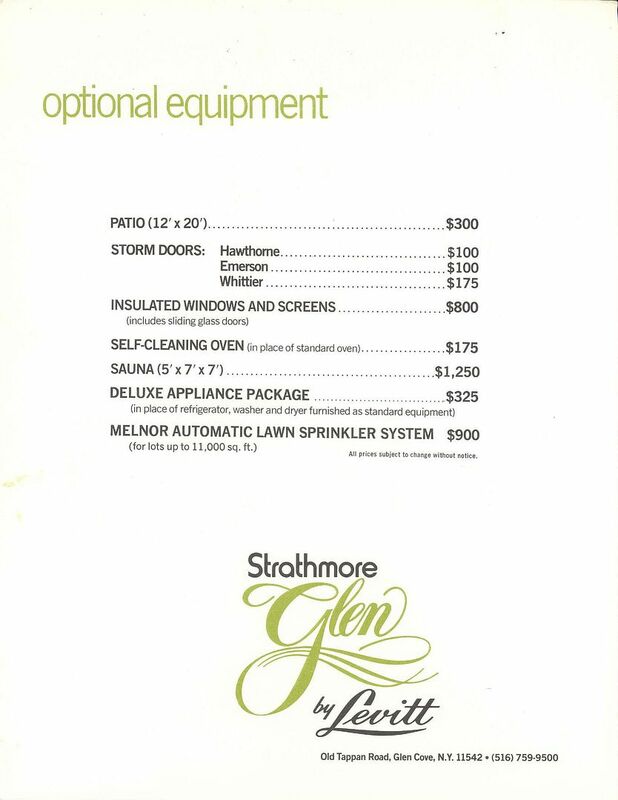 View the Price List and Standard Features for your new home here at Strathmore Glen. 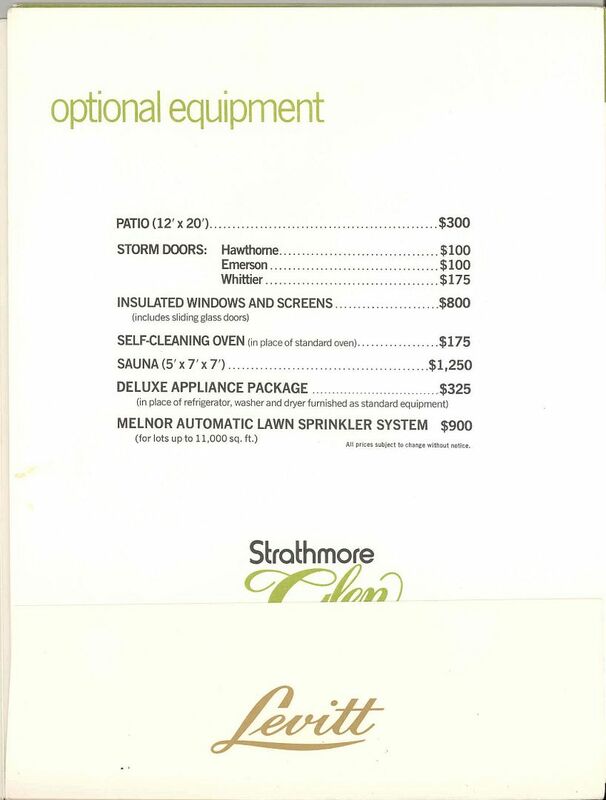 View the list of Options you may select for your new home here at Strathmore Glen. 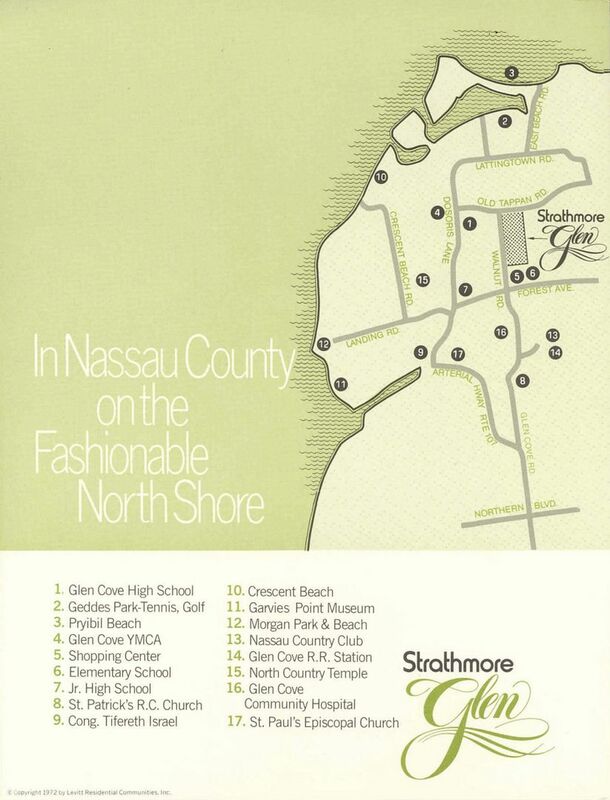 View the Location Map for the Long Island North Shore area. 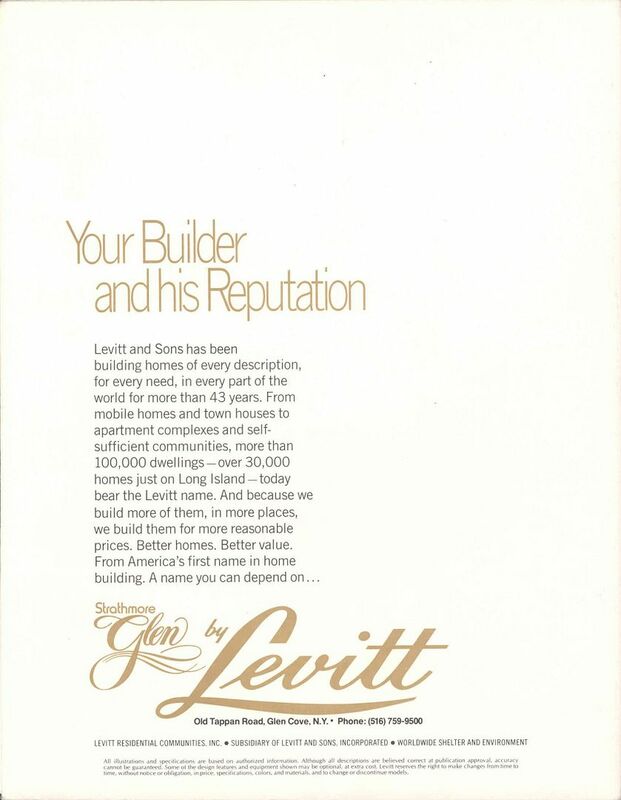 View the Levitt's Profile of its 43-year history and 30,000 homes on Long Island. 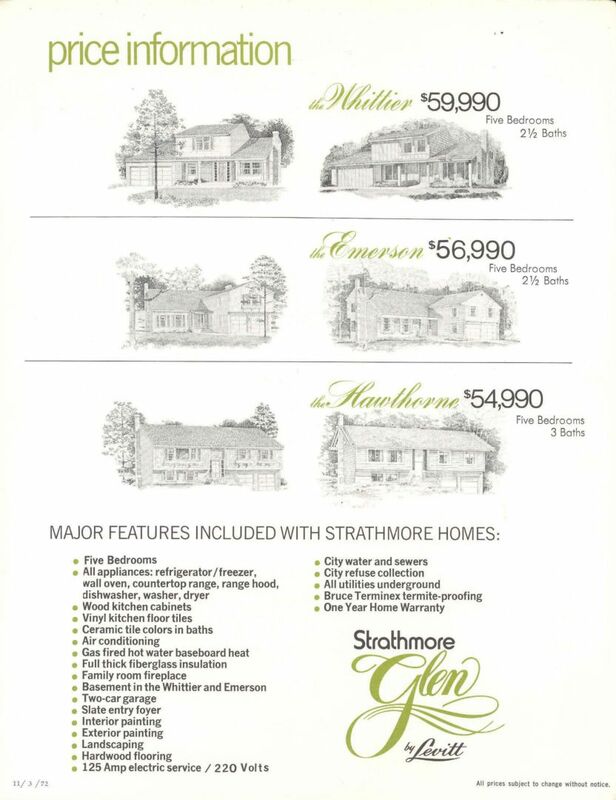 Tour all three sample homes and select the style of your new home in Strathmore Glen. Bi-level. 3 Bedrooms, 3 Baths, Living-Dining Room with Cathedral Ceiling, Eat-in Kitchen with Cathendral Ceiling and overlook to Family Room below, Family Room with Fireplace and Sliders to back lawn, Separate Laundry Area, Oversized 2-Car Garage with Storage Area, Optional 4th and 5th Bedrooms on Lower Level, Rear Deck along full width of home with Stairs to back lawn. Available in Traditional or Contemporary exterior. 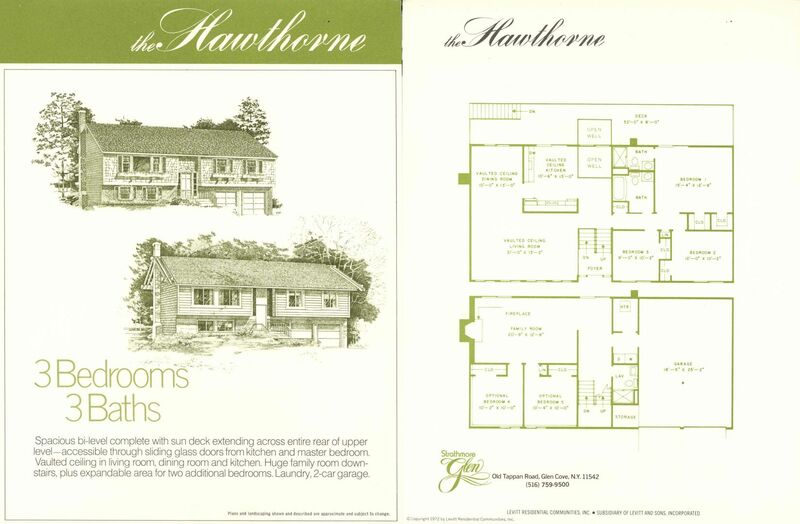 2-Story Contemporary Plan. 4 Bedrooms, 2-1/2 Baths, Raised Entry Foyer, Living Room with Cathedral Ceiling, Dining Room, Kitchen with Breakfast Alcove and Sliders to back lawn, Family Room with Fireplace, Laundry Room, Second-Story Balcony overlooking Living Room, 2 -Car Garage, Basement, Optional Expansion Area, 5th Bedroom, or Recreation Room. 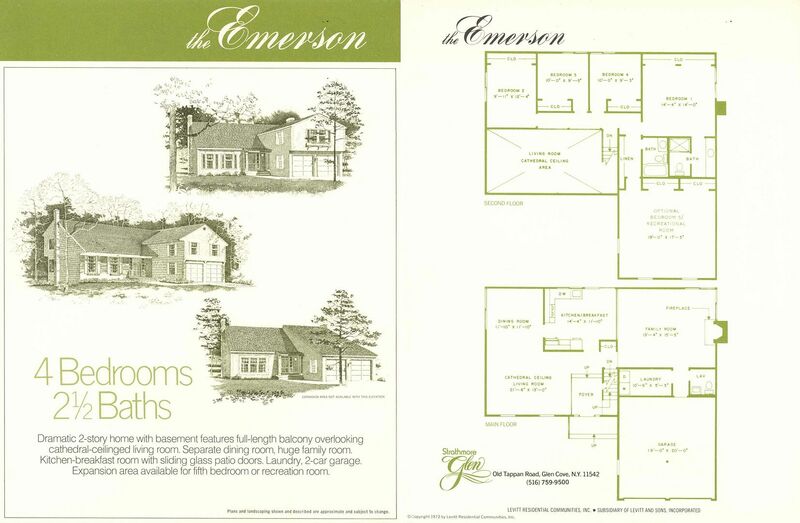 2-Story Contemporary Plan. 4 Bedrooms, 2-1/2 Baths, Living Room with Cathedral Ceiling, Formal Dining Room, Kitchen with Breakfast Alcove, Pantry, and Sliders to back lawn, open to Family Room with Fireplace and Sliders to back lawn, Laundry Room, Second-Story Balcony overlooking Living Room, Expansion Area or Optional 5th Bedroom, Basement, 2-Car Garage with Storage Area.